This demonstration is especially designed for anyone interested in borrowing books, audio and streaming video from our Overdrive collection. Drop in on Thursday, December 11 from Noon until 2:30 and 5:00 until 8:00 and Thursday, December 18 from Noon until 8:00 for individual help. 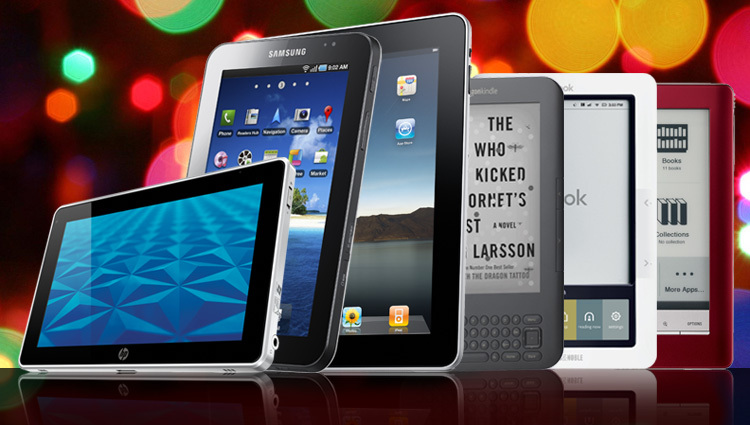 Bring your Kindle, Nook, Tablet, iPad or other device for a demonstration. Additional workshops will be held in January for those of you who get new toys for the holidays!